I finally got around to organizing my stickers and my washi tape collection (which just keeps growing). 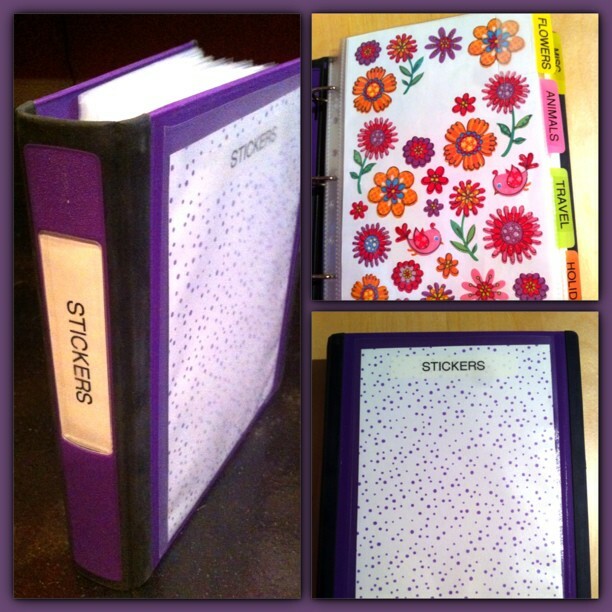 I used the Staples Better Binder in the mini size, the Martha Stewart Secure-Top Sheet Protectors with full page, 1/2 page, and 1/4 page pockets (also available at Staples). I love the secure top because I know the items inside are secure! My stickers are organized by category: Flowers, Animals, Travel, Holiday, and Misc. which I have labeled using Avery Label Tabs and my label maker. I put a plain white sheet of paper behind the stickers so that I could only see the stickers on the current page. 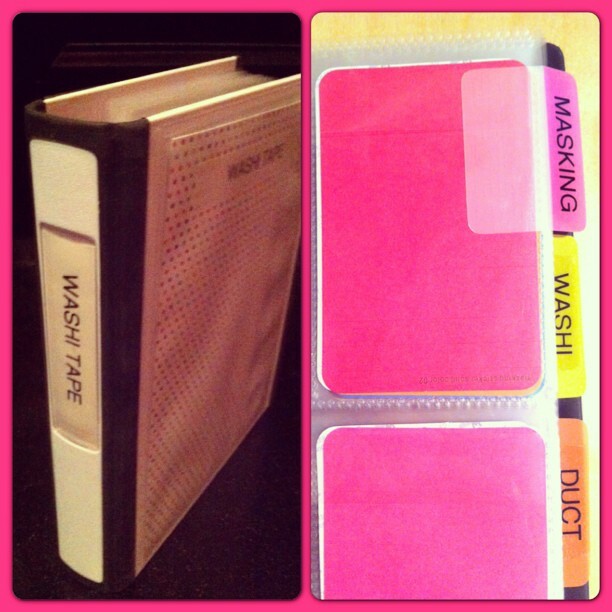 For my washi tape binder I have three categories: Masking, Washi, and Duct. The masking tapes fit right into the 1/4 pocket sheets. I also used the 1/4 pocket sheets for washi tape, I just wrapped the washi tape around the cards. I used a full pocket sheet for duct tape. I love that I can just thumb through the pages and quickly see what I'm looking for. 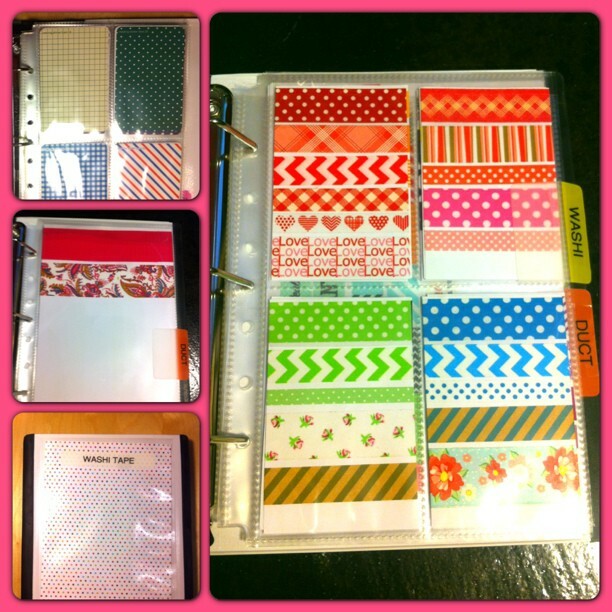 I'd love to hear how you organize your stickers and washi tape. It looks AMAZING! You have inspired me to organize my sticker and washi set up.